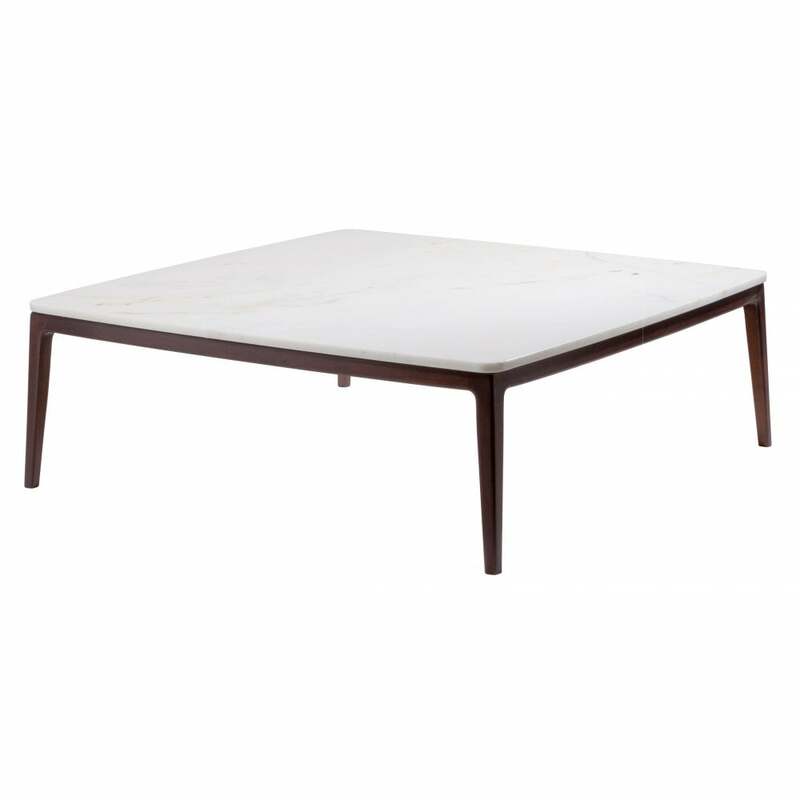 This is a coffee table of perfect proportions and wonderful simple, clean lines. The deep, warm solid American walnut legs are a fantastic contrast to the smooth slim marble top, which can be ordered in either Afyon or Emperador marble. These 2 natural materials sitting beautifully together despite and because of their contrasting qualities. Will be delivered disassembled. Priced for table top in Afyon marble with Walnut, other options available.